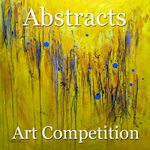 Light Space & Time Online Art Gallery announces their 7th Annual “Abstracts” Online Juried Art Competition for the month of February 2016. 2D and 3D artists from around the world are called upon to make online submissions for possible inclusion into the Gallery’s March 2016 online group art exhibition. 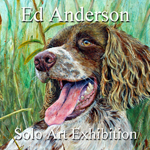 Ed Anderson is Winner of the "Solo Art Series"
Light Space & Time Online Art Gallery is very pleased to announce that Ed Anderson has been selected as one of the four artists of the gallery’s second “Solo Art Series” Art Competition. 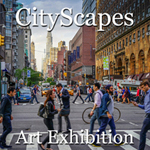 Ed will have a month long solo art exhibition and will be featured on the gallery’s front page, as well as in the “Solo Art Series” archive. Light Space & Time Online Art Gallery is extremely pleased to announce that wildlife artist Gemma Best is the gallery’s newest featured artist. 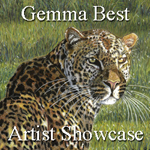 Gemma will now be presented and promoted in the gallery’s Artist Showcase for the next 30 days. Gemma has been an artist for more than twenty years. She is self-taught and has been refining her art practice through her mentor, who is a master wildlife artist living in England.